A friend of mine, after reading my previous posting on procrastination, commented that I was almost the complete opposite of her in how I managed to get tasks done. She was of the opinion that sometimes it was better to put a task aside until she felt energized to do it. That way the task seemed to flow. She felt good about the process and the end result. My friend is a wise woman and offered yet another perspective on procrastination. Sometimes I actually prevent myself from getting things done because I let the priorities guide me instead of energy levels. This is especially the case with some dreaded deadlines (e.g. tax filing) or boring, routine administrative tasks (e.g. entering in expenses). When I have something mandatory to do, sometimes I will spend the whole day working up the energy and motivation to get started rather than just doing what I feel like. A few weeks ago I was slogging through some work so I could go out and walk around the park. It was a beautiful day. Sunshine beamed into my office and the breeze felt just right. *sigh* Instead of going outside when the weather was great and I was energized, I forced myself to finish the task. By then it was too late to go out because it took me so dang long to get into it. In hindsight I should’ve just gone for the walk for motivation, rather than pretending to be focused, which wasted more hours than the walk would have. I often forget that energy levels matter when it comes to getting things done. The process of how we accomplish our tasks counts too. Naturally I almost always feel energized to do the more creative parts of my business (i.e. 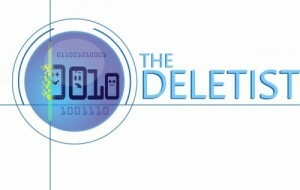 writing Deletist blog postings! ), but will often push those aside to tackle more urgent, or obligatory, items. I’d like to always match tasks with energy levels. Then reality shows up in the form of bills, deadlines, meetings, etc. So again, I come back to wondering about the question in my previous posting. If I decide to “wait” on doing certain tasks until I feel the right energy level, am I procrastinating? Or am I expending time and energy more efficiently? Sometimes doing a fun, relaxing activity first makes the onerous task more easy to do. Love the blog.